Often Found In Selected W204 C-Class and W212 E-Class Diesel Models. GTV / Spider. Punto (188). 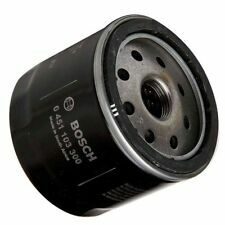 Bosch Oil Filter. So make sure you insist on Bosch oil filters when replacing them in your car. Bosch oil filters - for optimum engine performance. 1.8 GT 16v 113bhp. 1.8 GT 113bhp // 2.0 HGT 20v 147bhp. The cabin filter purifies the air before it enters the cabin. WIX filters stop the pollutants found in the air. This provides comfort to passengers whilst protecting against hay fever, eye irritation and ensure the driver can maintain a high level of concentration. Wir empfehlen den Einbau in einer qualifizierten Fachwerkstatt durchführen zu lassen. 156 2,0 JTS. GT 937 2.0 JTS. Original Ölfilter. Sie wollen sich von Ihrem Gebrauchtwagen trennen?. für Ihren Gebrauchtwagen. K&N Performance Silver oil filters provide outstanding filtration and engine protectionthroughout their service life and are engineered to handle virtually all grades of synthetic, conventional and blended motor oils. Application Guide : JETTA 2006-08 MODEL YEARS (1K)WITH ENGINE CODES BMY, BLG. Genuine Parts & Accessories with Genuine savings! OPEL ASTRA H (L48) 1.7 CDTI 2004/03 - 0/ 59 80. OPEL ASTRA H (L48) 1.7 CDTI 2004/03 - 0/ 74 100. OPEL ASTRA H GTC (L08) 1.7 CDTI 2005/03 - 0/ 59 80. OPEL ASTRA H GTC (L08) 1.7 CDTi 2005/03 - 0/ 74 101. Ref OE : 1109. AY - 1109. Y2 - 1109. Ref OE : Y40114302A - 1109. Y1 - 1109. Nord-Pas de calais France métropolitaine. ZAC du bord des eaux 62110 Henin Beaumont. Nous travaillons en collaboration avec le centre auto : Auto Point Pièces Bosch Car Service. Wir empfehlen Ihnen den Einbau der erworbenen Autoteile von einer Fachwerkstatt dürchführen zu lassen. Für Folgeschäden jeglicher Art, insbesondere bei einem fehlerhaftem Einbau bzw. Filterausführung Filtereinsatz. Ref Number 73500049. GIULIETTA (940) 1.4 1368 Petrol 198 A4.000 120 12/2011 >. GIULIETTA (940) 1.4 1368 Petrol 940 B1.000; 940 B8.000 105 4/2011 >. GIULIETTA (940) 1.4 1368 Petrol 955 A8.000 163 4/2010 >. MAHLE Spin-on Oil Filter OC138. The response from Mahle: a fully synthetic two-layer fleece made of polyester, consisting of a support and a filtration layer. Mahle filters for passenger cars PDF (8MB). Nissan Ref Number 1520900Q0H. This is the oil filter to fit the Nissan Qashqai J10 Model (pre 2014) with the 1.6 DCI engine (R9M). This is the oil filter to fit the Nissan Qashqai J10 and j11Model with the 1.6 DCI engine (R9M). Poche filtrante en polypropylène (PP) pour tous liquides. Poche Filtrante. Finesse de filtration 1 micron. Finesse de filtration disponible aussi : 1micron ; 5micron ; 100 micron. Etat : Neuf. Rayon viscose Bon Bon Bon Bonne Excellent Excellent Excellent 135°C. BMW 525D 530D E60. 8 LT OLIO CASTROL EDGE 5W30. 8 Litri CASTROL EDGE 5W30 BMW Longlife 04. BMW 525/530D (E60). 4 FILTRI BOSCH. 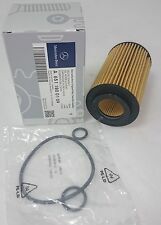 Filtro Carburante BOSCH 0450906457. Composizione del Kit Autoricambi ELCAR. E34 520i 24V 1990-1996 150bhp. E34 525i 24V 1990-1996 192bhp. 4 LITRI OLIO SELENIA MULTIPOWER GAS. Fiat PANDA III (312) 1.2 Easypower GPL 51KW/69CV (mot.169A4.000) 05/12>. FILTRO GPL. Fiat 500 II 1.2 GPL 51KW/69CV (mot.169A4.000) 10/11>. FILTRO OLIO. FILTRO ARIA. Vauxhall OE part No: 90528145 / 207050. Confused as to whether this sump plug fits your Vauxhall / Opel Engined Car?. Take a look at this guide to make it easy: Vauxhall Guide. Which Fits Sump Plug OE: Vauxhall 90502556 / 04572. 3 x LITRI CASTROL POWER 1 10W40. - 1 x FILTRO ARIA HIFLO HFA2606. 7 litri olio motore LIQUI MOLY MADE IN GERMANY 5W30 TOP TEC. 118D (E81-E87) 105 KW. BMW 1 (E81) 123 d 2007/03 - 2012/09 150 204. 6 Litri CASTROL EDGE 5W30 BMW Longlife. BMW 1 (E87) 123 d 2007/03 - 2012/09 150 204. BMW 1 (E81) 116 d 2008/11 - 2012/09 85 116. BMW 1 (E81) 118 d 2006/09 - 2012/09 105 143. Lucas Oxygen Sensor. Spark Plug Tools. One essential condition required for an internal combustion engine to operate properly is to constantly lubricate the moving parts of the engine with oils maintained at the necessary level of cleanliness so as to prevent any premature wear. Öffnungsdruck Umgehungsventil [bar]: 1,5. 1 ÖLFILTER. Die hier angezeigten Daten, insbesondere die gesamte Datenbank, dürfen nicht kopiert werden. Es ist zu unterlassen, die Daten oder die gesamte Datenbank ohne vorherige Zustimmung TecDocs zu vervielfältigen, zu verbreiten und/oder diese Handlungen durch Dritte ausführen zu lassen. MANN filters are widely known for their overall quality, value for money and superior performance. MANN filters are designed for this sole purpose and are trusted widely amongst the Automotive Industry. FILTRO OLIO:0451103300. Composizione del Kit FILTRO CARBURANTE: F026402048. 4 LITRI OLIO SELENIA MULTIPOWER GAS. 1.4 NATURAL POWER 77CV. 3 FILTRI ORIGINALI FIAT. 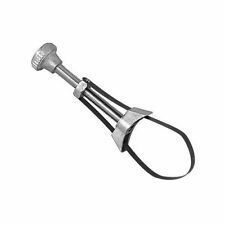 FILTRO OLIO ORIGINALE FIAT 55256470. IL KIT COMPRENDE SI ALLEGA REGOLARE SCONTRINO DI VENDITA O FATTURA SE INVIATI I PROPRI DATI. Per veicoli VW, Seat e Skoda. OLIO CASTROL EDGE 5W30. 1 Filtro Olio. 5 LT OLIO CASTROL EDGE 5W30. IL KIT COMPRENDE SI ALLEGA REGOLARE SCONTRINO DI VENDITA O FATTURA SE INVIATI I PROPRI DATI. 5 LITRI OLIO SELENIA 0W30. 5 LITRI OLIO SELENIA 0W30. FILTRO OLIO ORIGINALE 71754237. Contenuto Del Kit SI ALLEGA REGOLARE SCONTRINO DI VENDITA O FATTURA SE INVIATI I PROPRI DATI. WR FORWARD. Références équivalentesOEM : 03L115389C - 03L 115 389 C - 03L115389B - 03L 115 389 B - 03L115389G - 03L 115 389 G - 03L115389H - 03L 115 389 H. Boitier Filtre à huile capuchon filtre à huile & joint. Originale 55197220. Coperchio filtro olio. Esperienza e professionalità al vostro servizio da oltre 50 anni. Founded in 1971, UFI is a global leader in filtration technology. In the OE market, UFI is the leader in filtration. Lucas Oxygen Sensor. Spark Plug Tools. 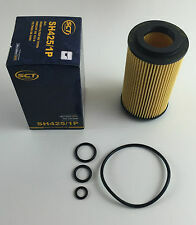 Filters > Oil Filters. the presence of soot and bio-diesel in the oil. IL KIT COMPRENDE N.1 FILTRO ABITACOLOMANN. IN BASE AL LIBRETTO. ALFA 159 JTDM 16V 09/2005> 110 150 1910. ALFA 159 JTDM 16V 09/2005> 100 136 1910. ALFA 159 1.9 JTD Multijet 16V. 5 LITRI OLIO CASTROL 5W30 100% SINTETICO PER. KIT 4 FILTRI FILTRON/YDEA. 1.4 GPL 68 KW - 92 CV. 1.4 GPL 71 KW - 97 CV. 4 CANDELE ORIGINALI FORD. 3 FILTRI ORIGINALI FORD. - 4 CANDELE ORIGINALI. 4 LITRI OLIO ORIGINALE FORMULA FORD 5W30. - 4 LT OLIO MOTORE FORD FORMULA F 5W30. We could stop here, but we’re sure you want to know why. The Green Spark Plug. 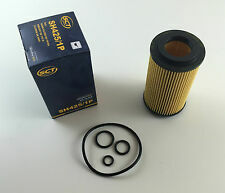 Filters > Oil Filters. SubTypeOil Filter. Equivalent toPH9B1.